How do I upload a video on my computer directly to Panopto? 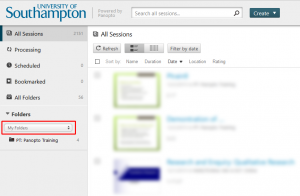 This guide is for staff who cannot upload video through Blackboard. In most cases you should follow the “How do I upload a video on my computer to Panopto / Blackboard” guide. 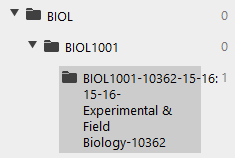 Note that you will likely have a folder that exactly matches your Blackboard course like BIOL1001-12345-18-19: 18-19 Introduction to Biology, but there will also be a folder just called BIOL1001. You should add video to the parent folder (BIOL1001 in this case) if you need this video to rollover to students next year. 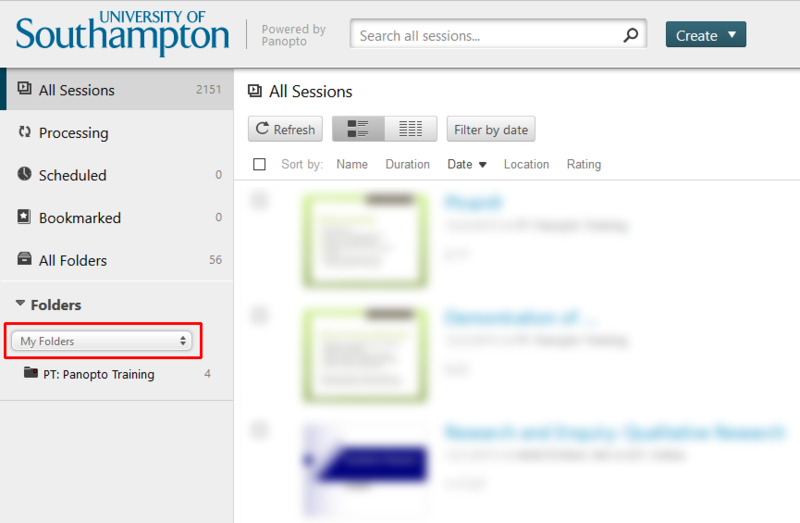 Videos added to the folders that include a year (BIOL1001-12345-18-19…) will only be available to students on that year’s course, even if you do a course rollover. If you don’t want to drag the file you can also click within the dotted box. Your video will now upload. Depending on the length of the media file, it may take a few minutes to a few hours for the video to process. You may also edit the name of the media file while it is uploading.